Custom built Poplar Log home. 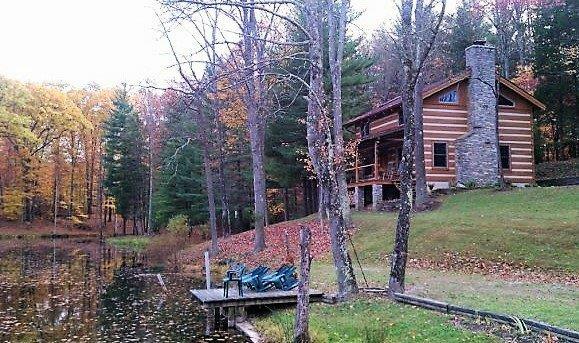 21+ park like acs, stocked lake w/minnow pond, docks - ideal fishing environment. Count Rumford'' WBFP w/custom ceramic glass doors & Hand crafted wrought-iron items in home. Dry-stack river rock FP front, chimney & retaining walls. Oak & poplar wood flrs, walkout basement w/full BA. 2 covered porches, OS 3 car garage.